I've always loved the city. There are so many interesting and unique places to be discovered. 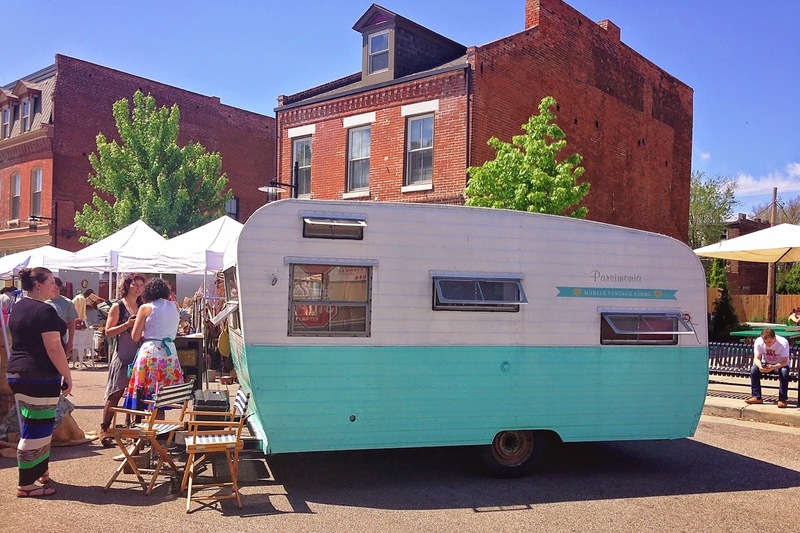 A few weeks ago, we stopped by Spring Fling in the City - a pop up market featuring vintage clothing, accessories, home decor and beautiful handmade items! I ended up purchasing a lovely succulent that is surprisingly still alive (despite my terrible luck with plants). How incredible is that trailer! This beauty greeted us on our way into the market. I'm ready to move in and call it home. 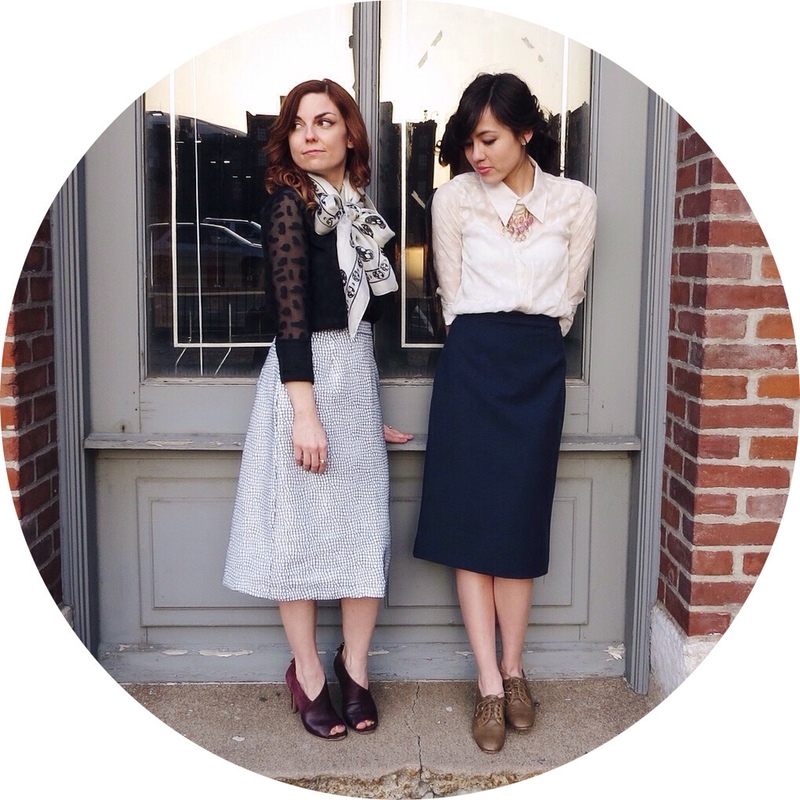 One of my favorite shops that we stopped by was Fable & Lore. This shop features all handmade jewelry and accessories. The booth itself was so lovely, we couldn't help ourselves from stopping for a closer look. 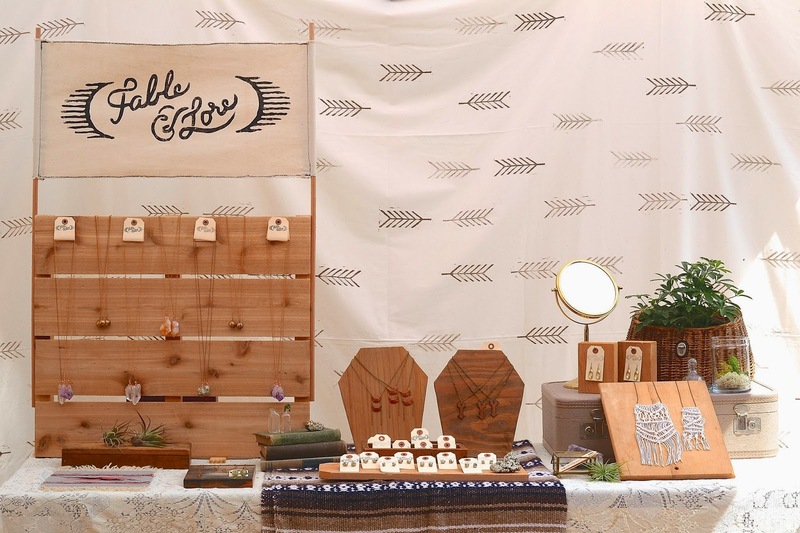 I love the minimalistic style of shop owner Chelsie Hellige. Her pieces incorporate an earthy, natural feel. It was hard not to be immediately drawn to her oversized macramé necklaces. They are lovely, one of a kind statement pieces. I can't wait to get my hands on one. 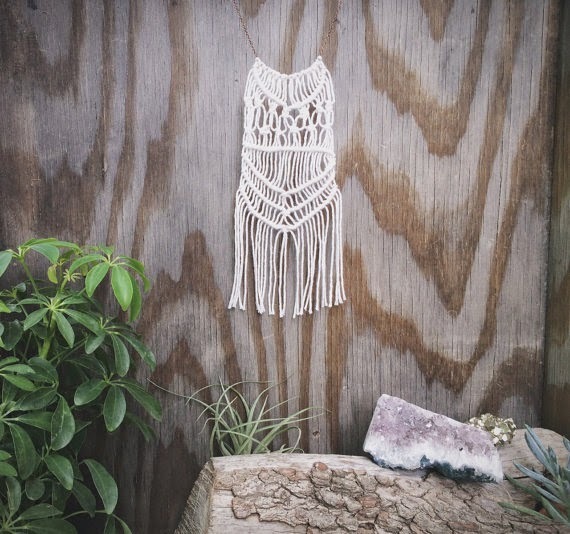 Each piece in her collection embodies a bohemian style. I love the use of raw elements in the jewelry. 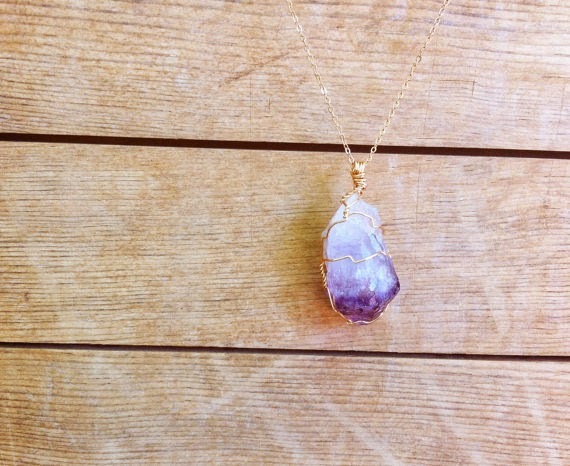 My favorite item was the amethyst pendant necklace. The stone reminds me of a beautiful purple summer sunset. It's at the top of my wishlist. Next time you're looking for a lovely new statement piece, skip the mall. Head over to Fable & Lore's shop and grab yourself a unique accessory that is timeless and simplistic. Stop by and see Fable & Lore for yourself! All of our friends in the St. Louis area can say hello to Chelsie at Sandrina's Hullabalua! on June 22nd. Check back later this week for a special A Colorful Chaos giveaway! 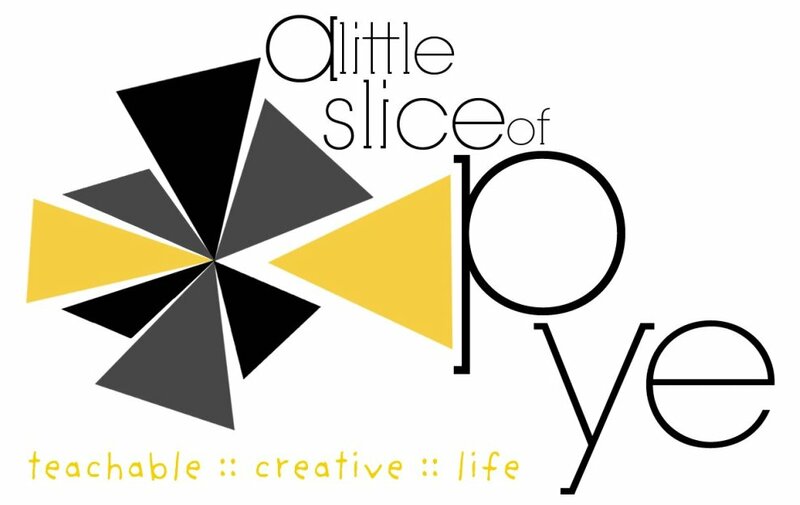 We'll have a special prize from Fable & Lore's Etsy shop. More details to come.